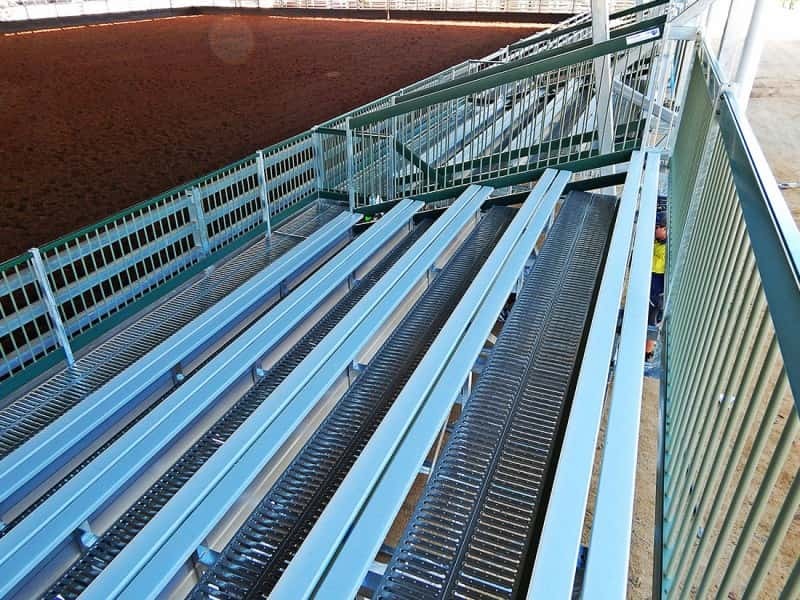 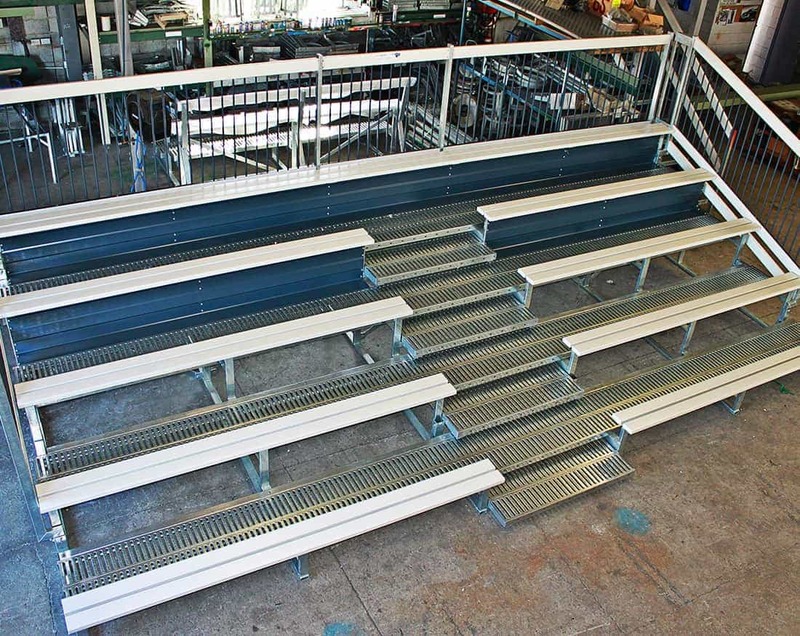 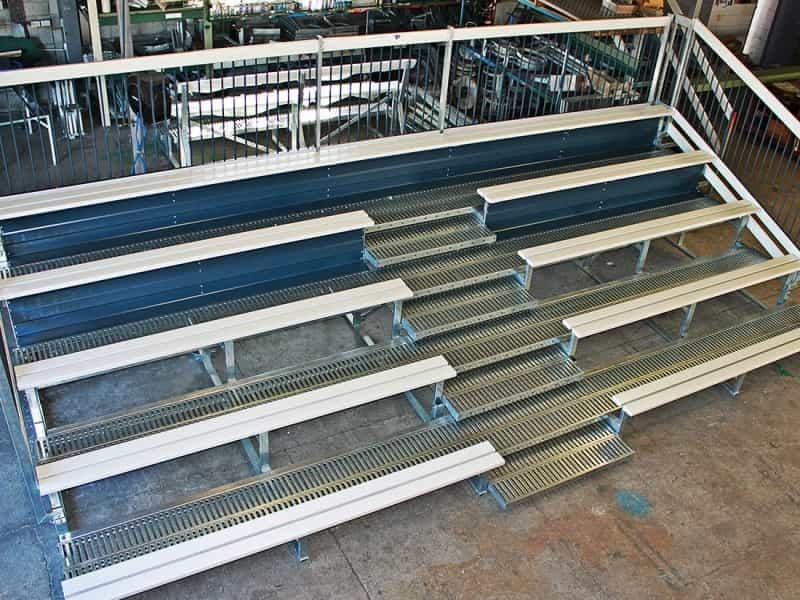 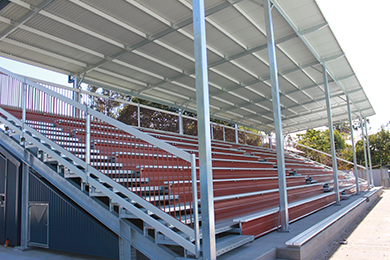 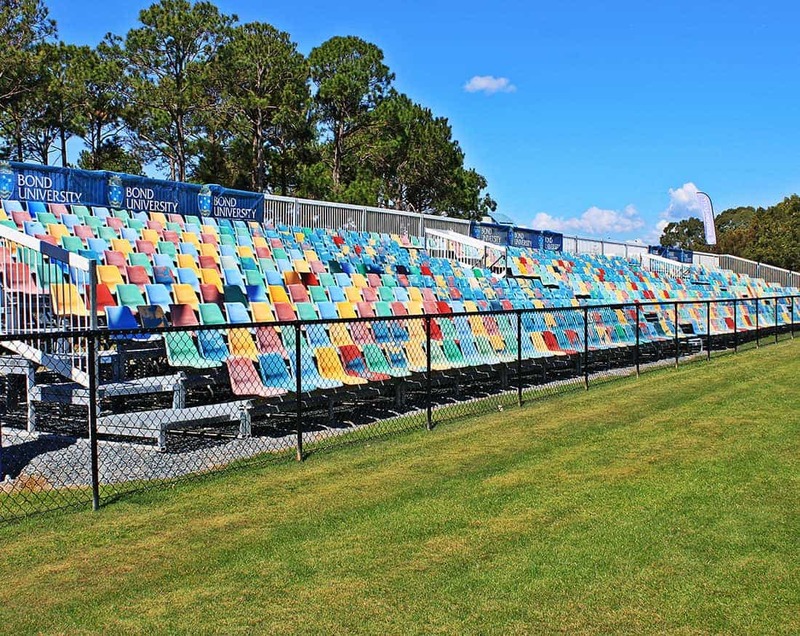 Stadium seating is something that Steel Post and Rail have been providing solutions to for almost 30 years. 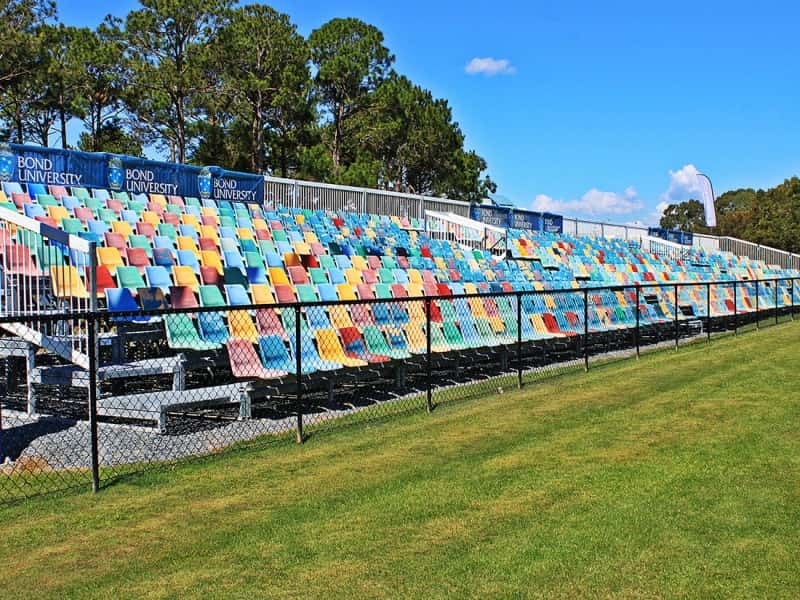 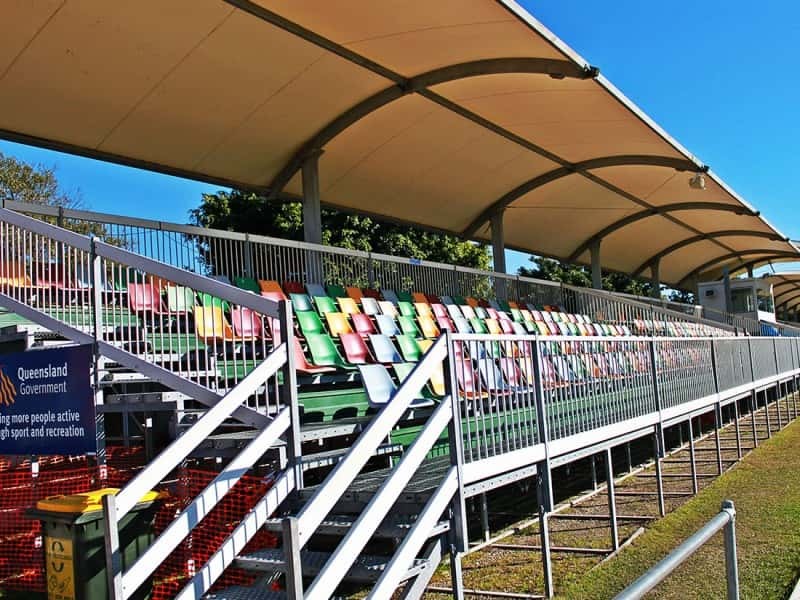 Our stadium seating solutions have provided great viewing experiences from the very small; such as a local sporting stadium – right up to the very large; such as designing, manufacturing and installing a project for the Commonwealth Games in 2006. 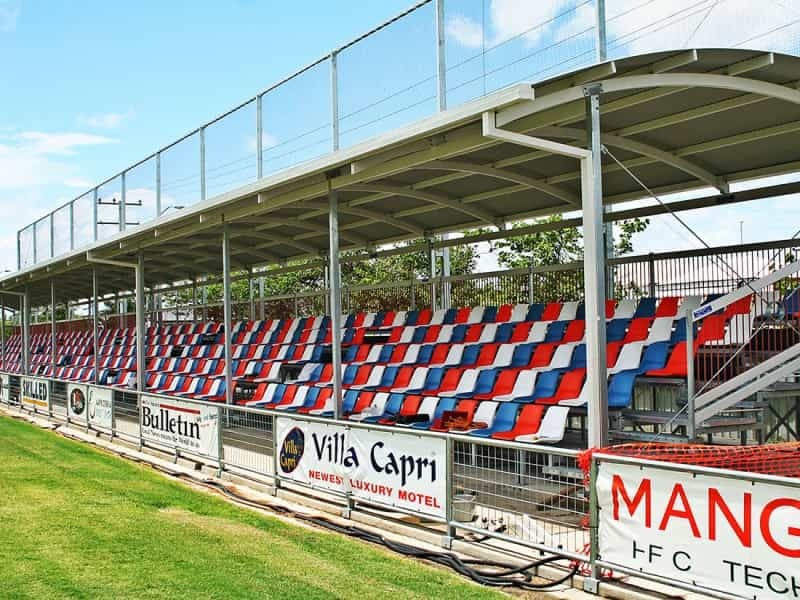 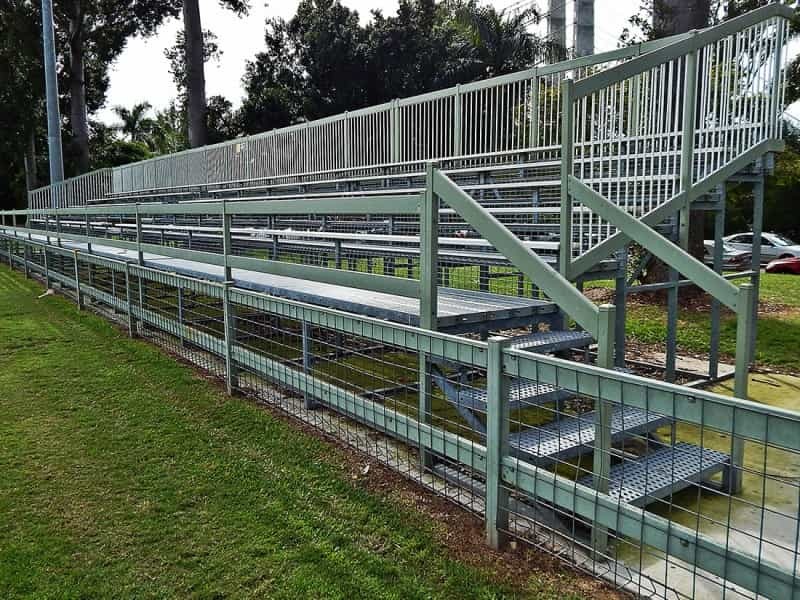 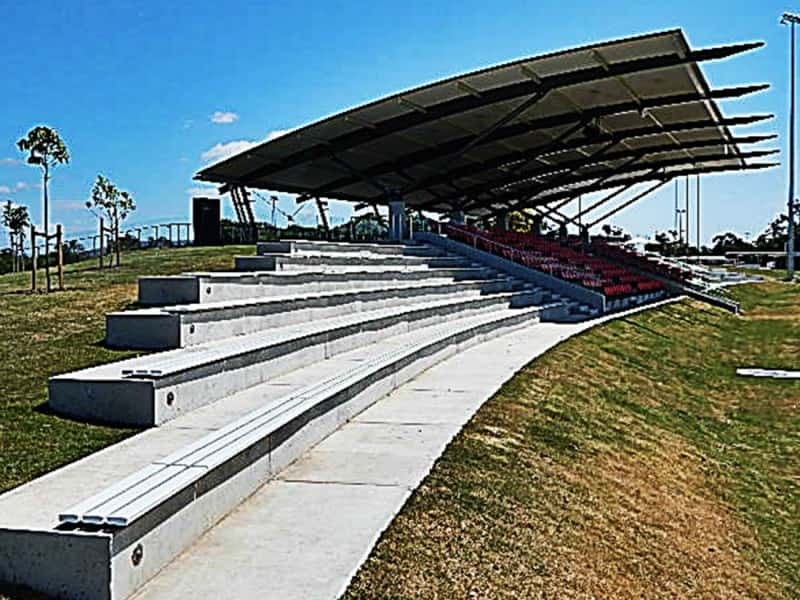 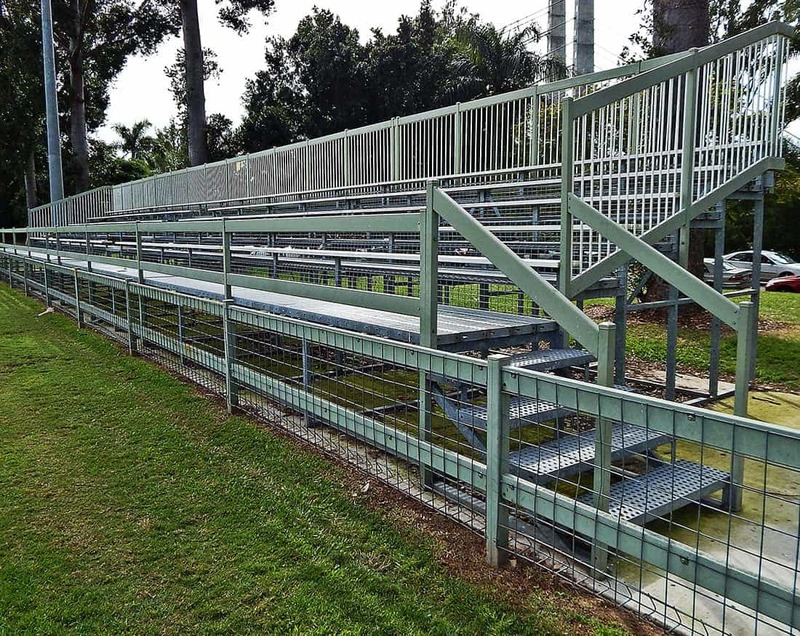 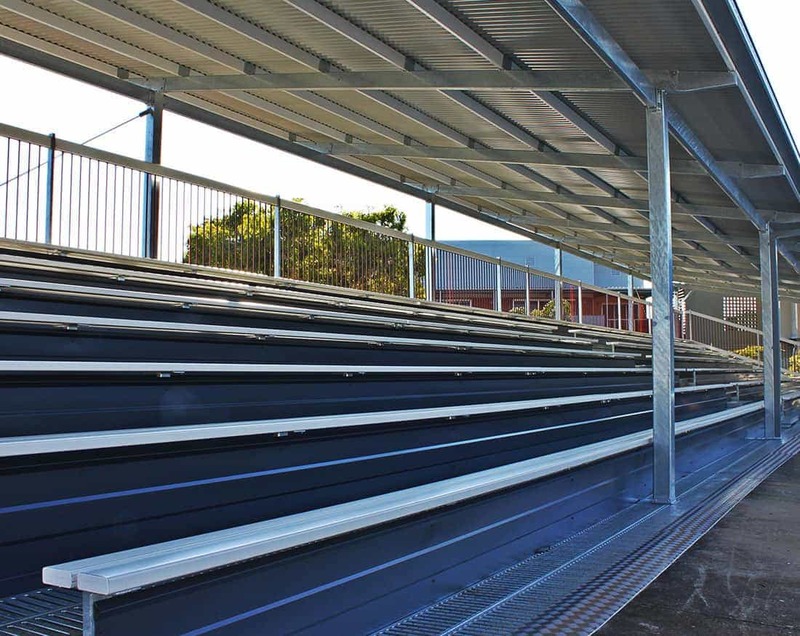 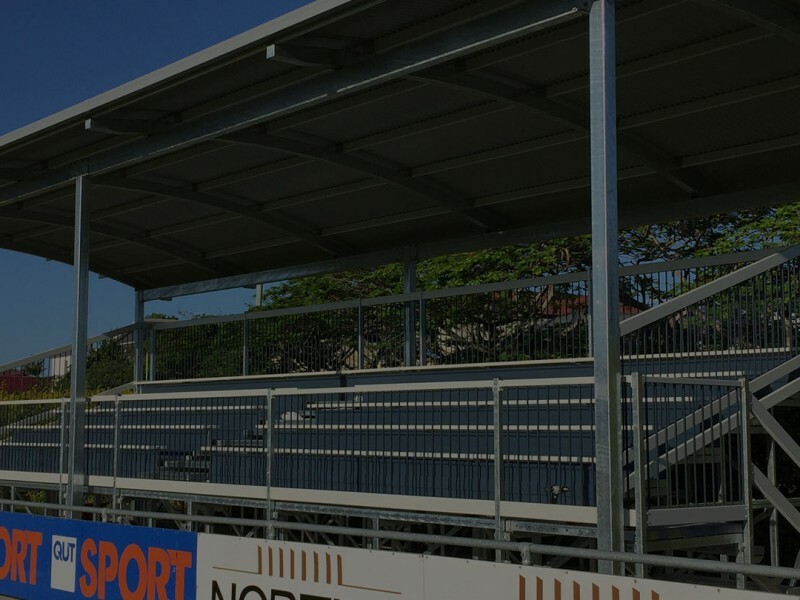 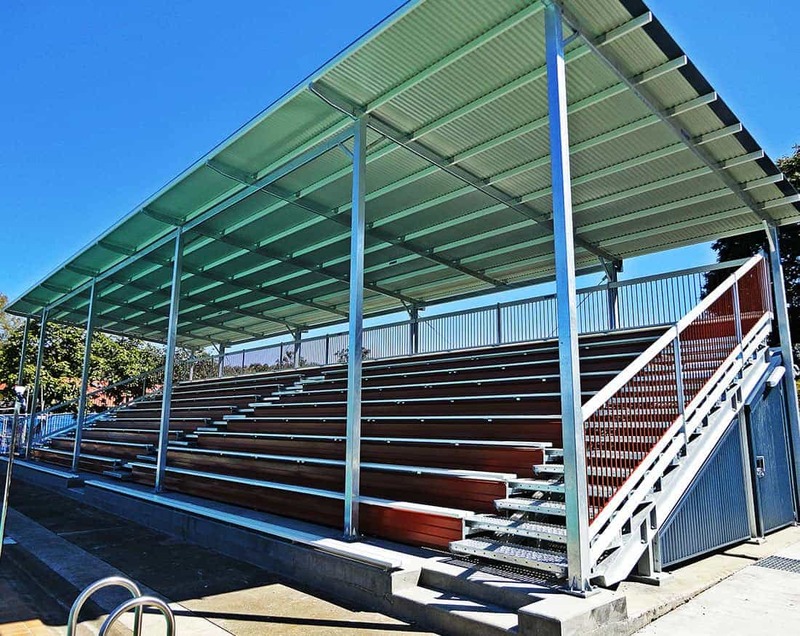 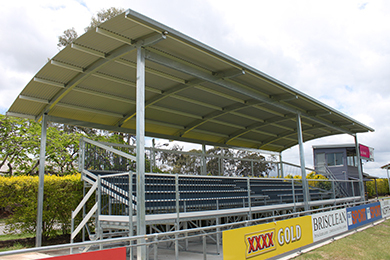 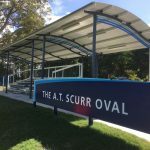 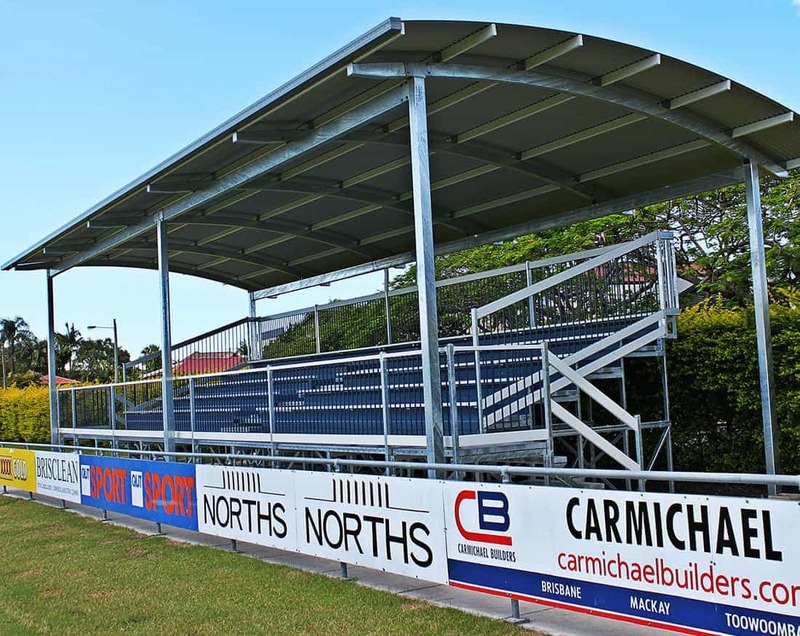 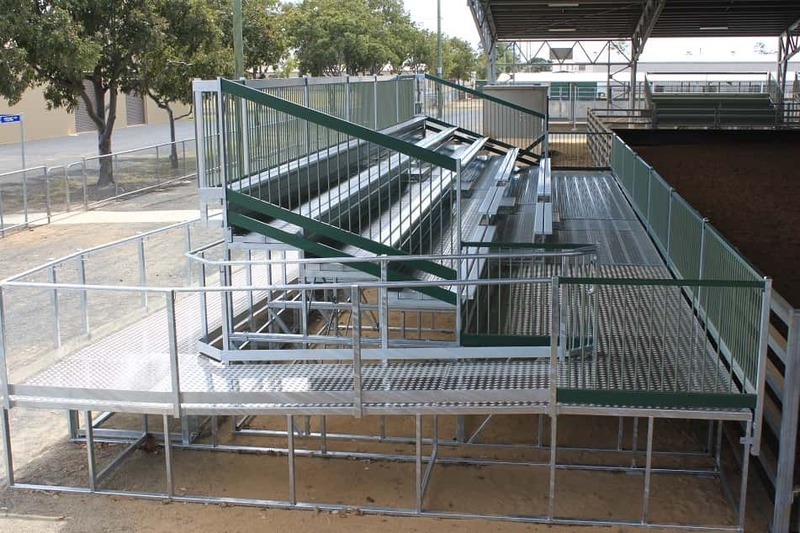 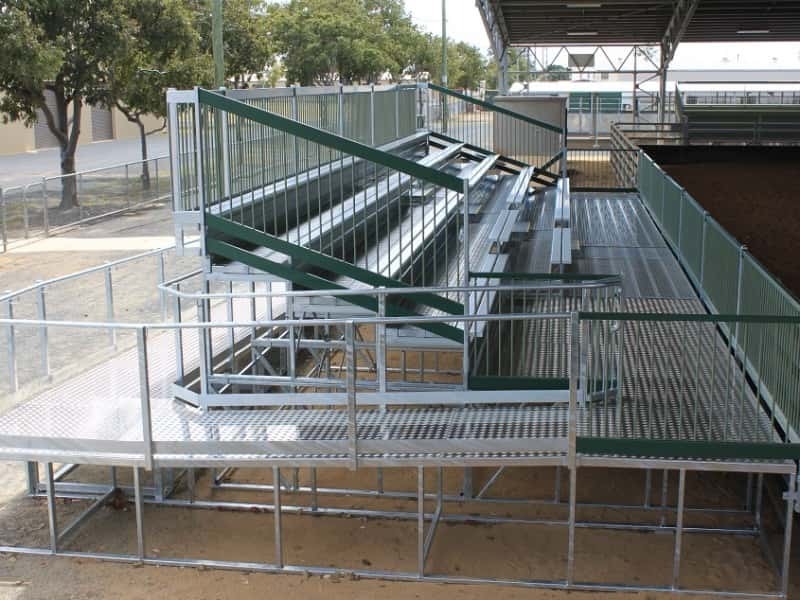 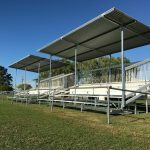 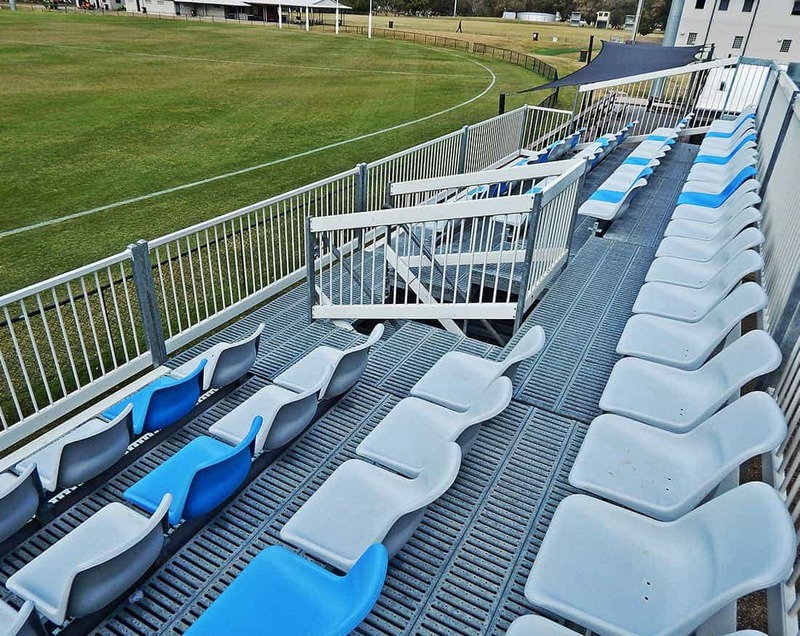 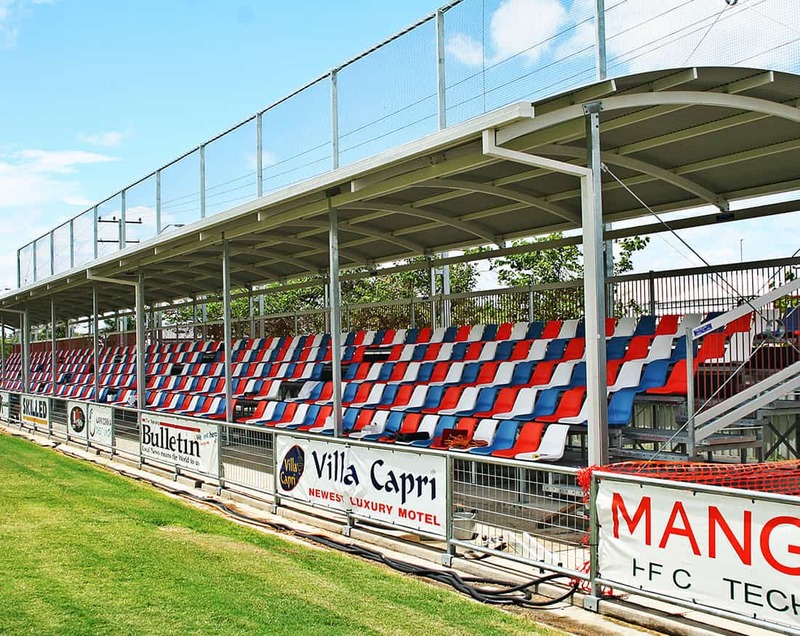 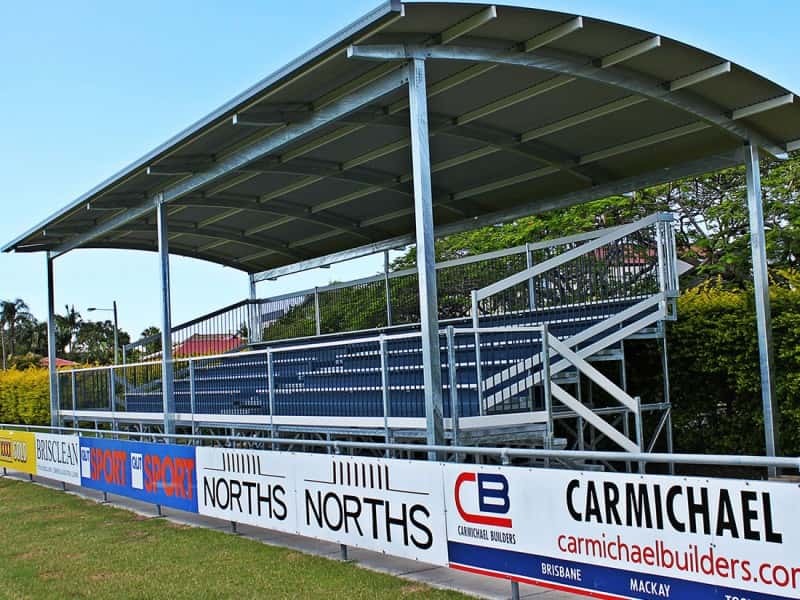 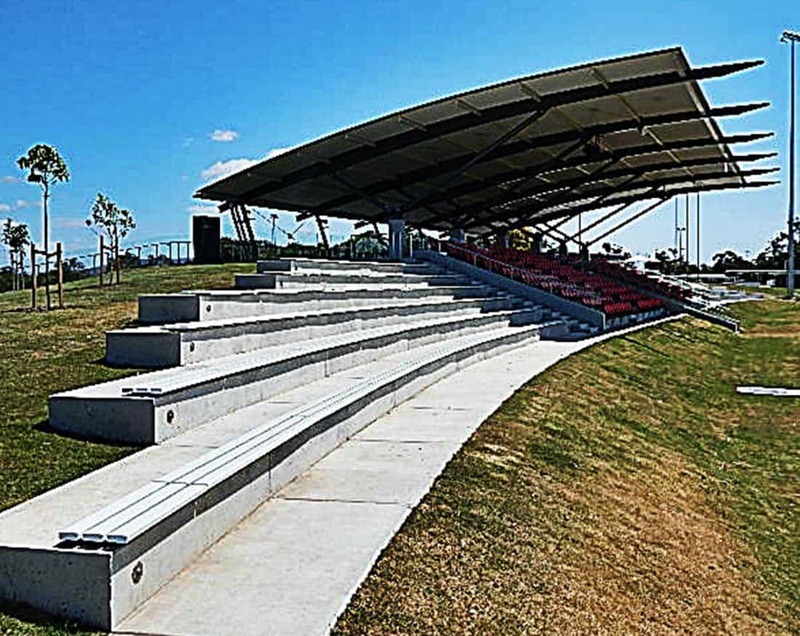 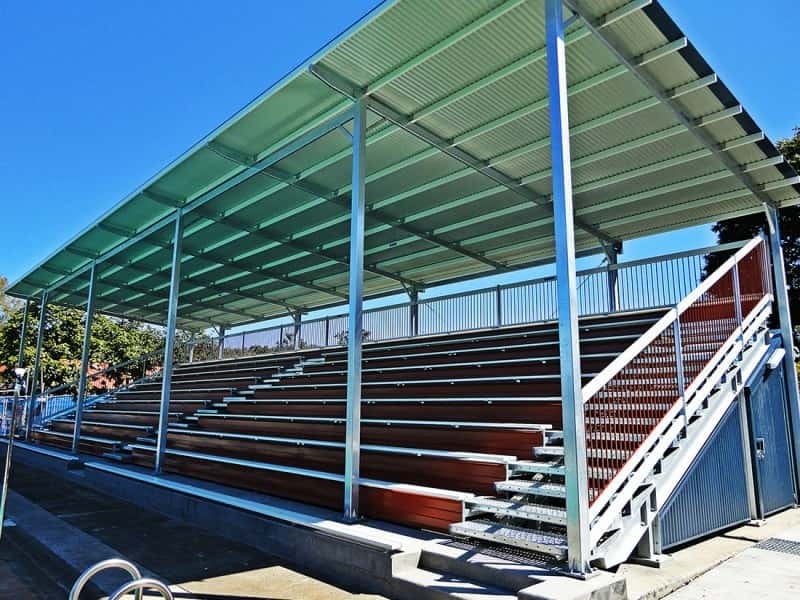 Whilst we install many smaller stadium seating solutions for local sporting clubs and other public facilities, sometimes a more specific outcome is needed and we can certainly accommodate those projects just as efficiently. 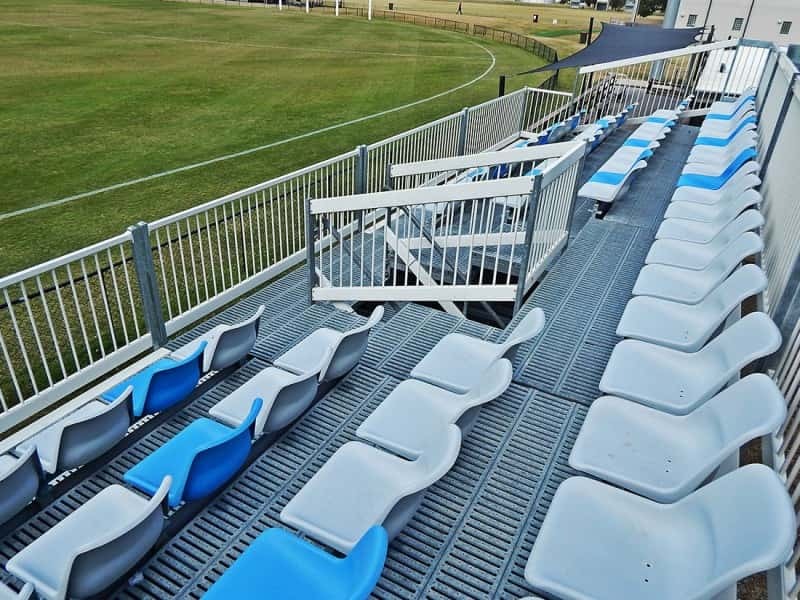 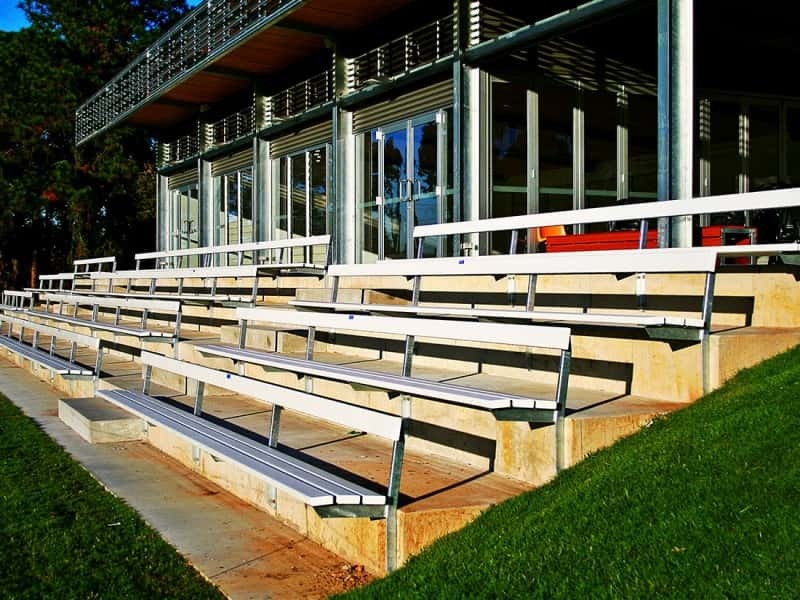 Adequate seating is vital for any event housed at a sporting club or facility that involves the public and catering for their general seating requirements is a vital part to their overall enjoyment of the sporting (or event) experience. 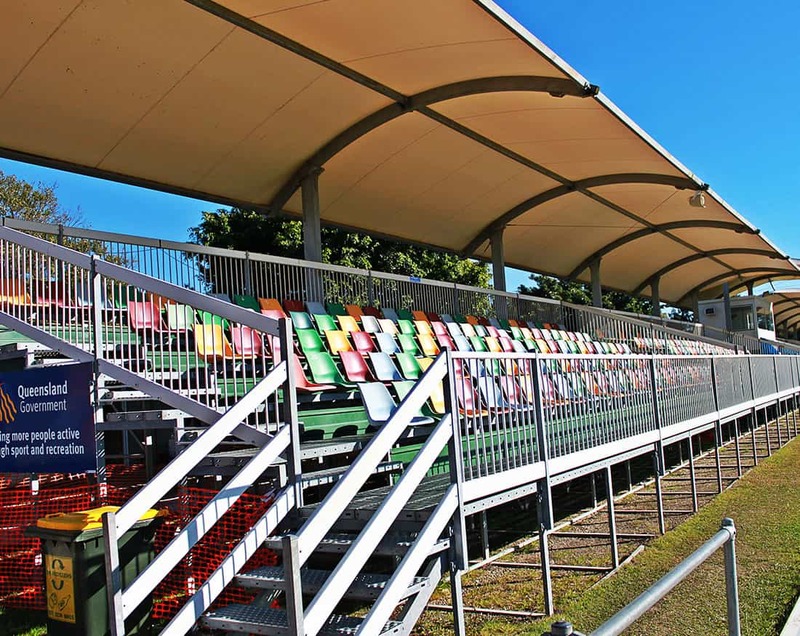 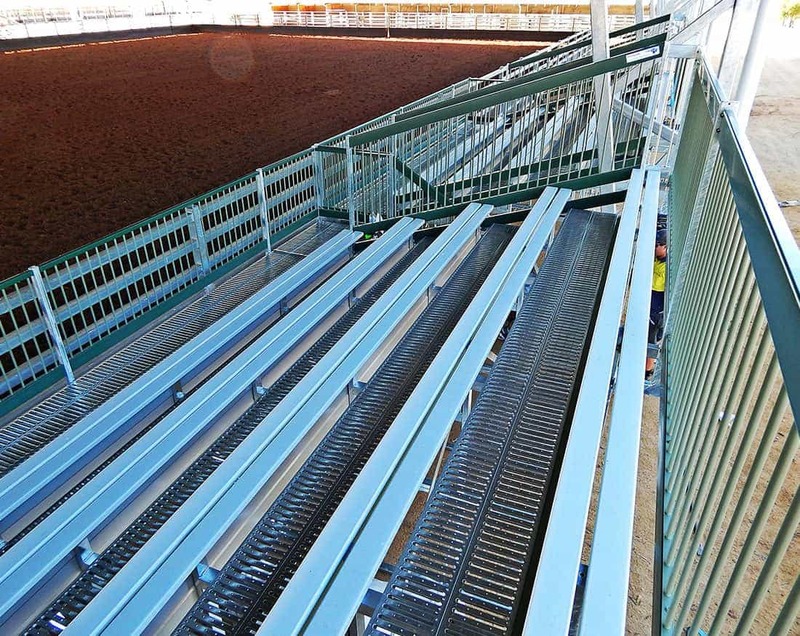 Rest assured, we have the wealth of expertise and experience required to undertake any stadium seating project and can confidently say that we can meet your needs, no matter how generic, or specific they might be. 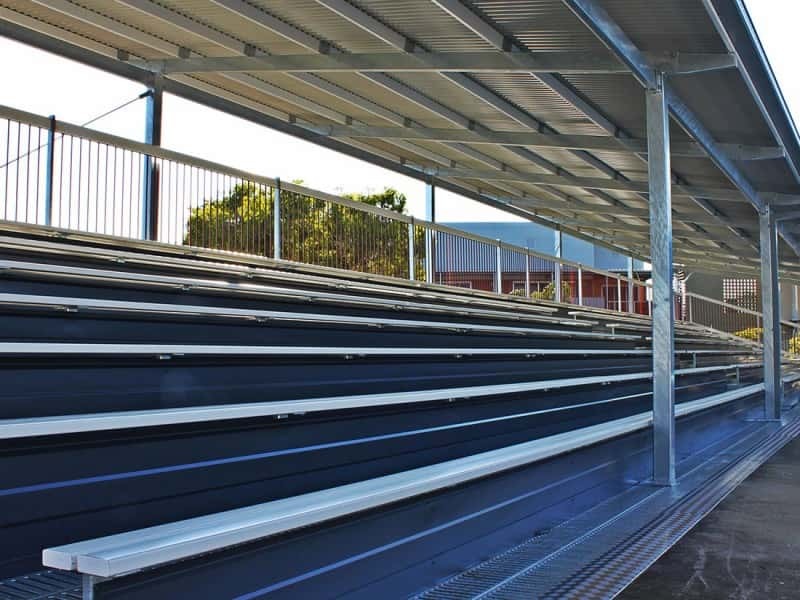 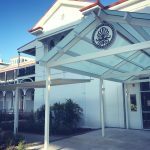 Utilising our proven hot dip galvanised framing system to any unique site requirements that are necessary to complete the project, we know you will be 100% satisfied with our final product that will cater to your requirements perfectly. 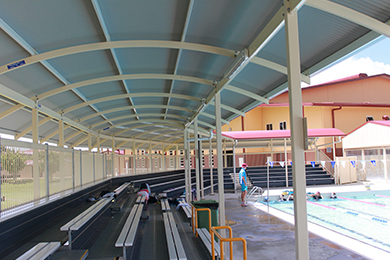 After being in the business for nearly 30 years, we pride ourselves on delivering only the best in quality to our customers and since no two projects are the same, our strength lies in our ability to adapt and innovate to suit our client’s requirements for design and functionality. 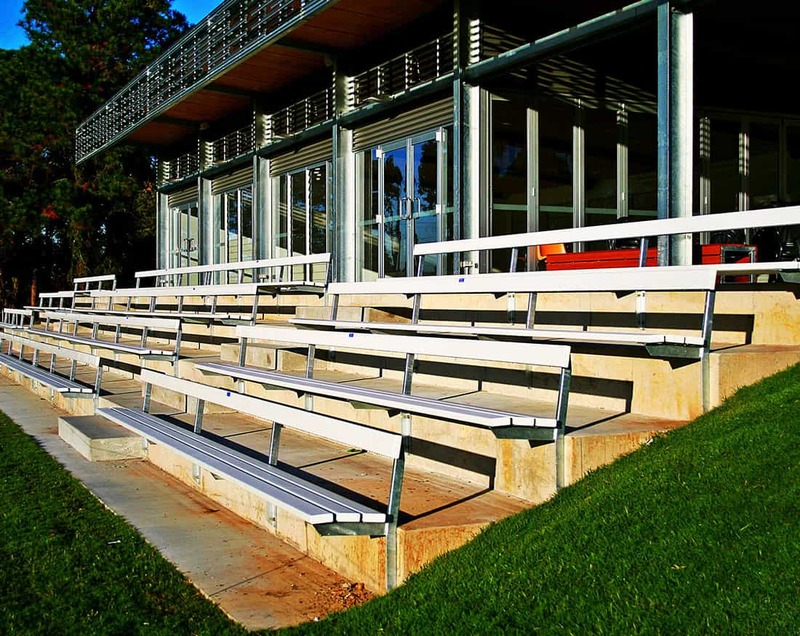 Please contact our team to discuss your options for larger tiered seating applications.